Winter is the time for ice, cozy mittens, and snowmen. 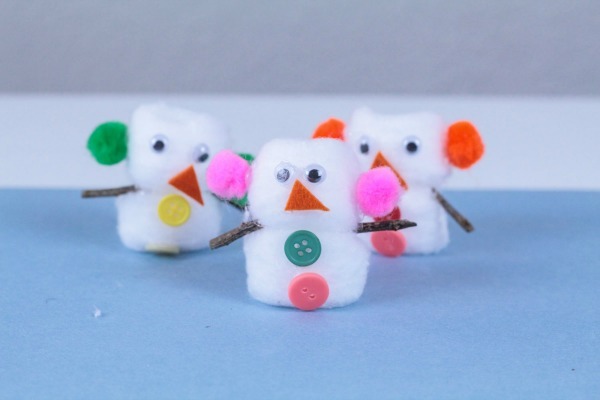 Keep the winter doldrums away by making these adorable cotton ball snowmen with your kiddos. You probably have everything you need to make these right at home and you won’t have to hunt down obscure craft supplies online. This is one snowman craft you’ll actually do this winter! My kids love going outside to play in the snow, but we haven't gotten as much snow this year as we usually do. The snow we have gotten has not been ideal for making snowmen – it's too light and powdery. You need good packing snow to make a snowman! 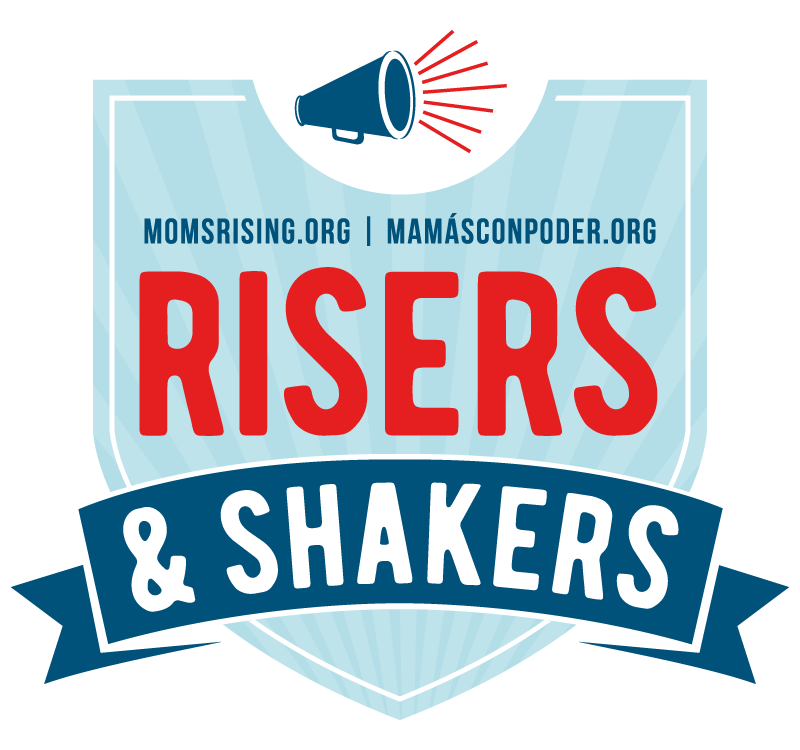 This post contains affiliate links which means we will earn a small commission if you make a purchase. This snowman craft for kids is a fun indoor activity to do on days when it's too cold to play outside. Sorry, I couldn't resist. The set up was too perfect, though now we both have that song stuck in our heads. Cut an orange nose for each snowman from felt. Glue two cotton balls together. Glue two stick arms to the snowman. You can get the sticks from outside or you can use craft wood sticks like these. Glue two googly eyes on the top cotton ball. Glue two buttons to the bottom cotton ball. Since these snowmen are so small, you don’t need to add any other features unless you want to, or the kids want to. Wait for the glue to dry before playing with the snowmen. Use the snowmen to decorate your house or classroom, send them home with the kids to play with, or glue them to a piece of paper to make a 3D winter scene. 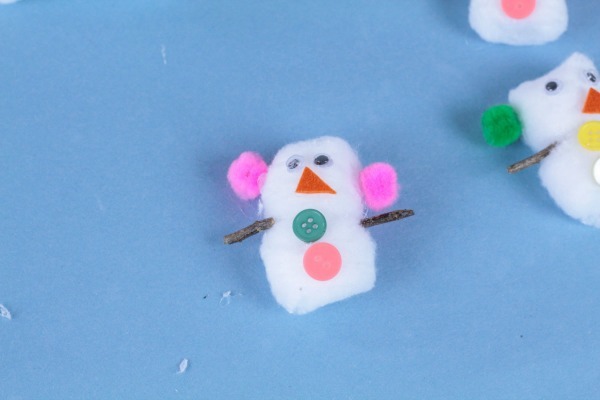 Kids will love how they can not only make this snowman craft, but play with it too! 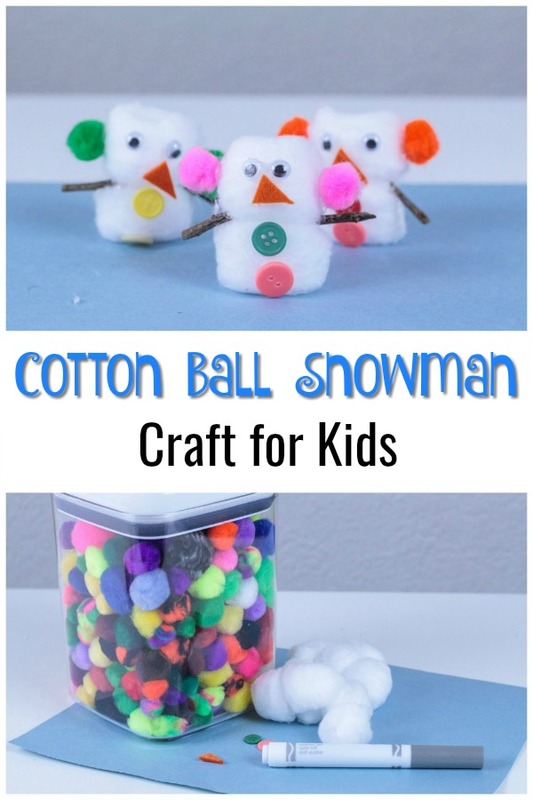 We hope you enjoy making cotton ball snowmen with your kids. 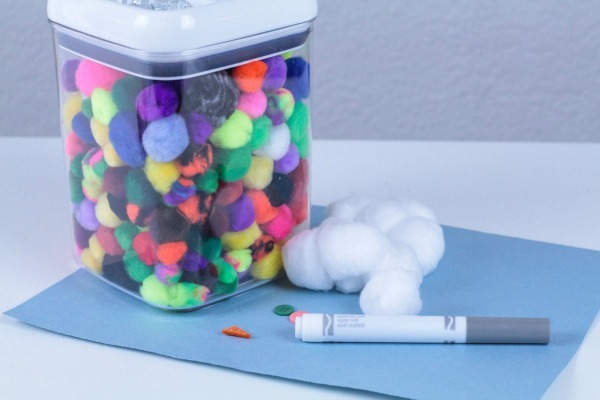 Whether or not you live in a cold weather state, this cotton ball snowman craft for kids is the perfect way to make a snowman while staying inside where it's warm. It's also a fun idea for a kindergarten art center!